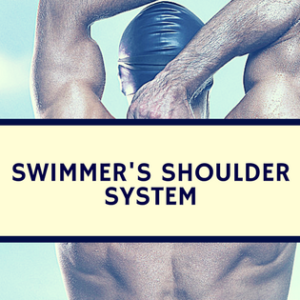 Blog Is Resistance Training In Swimming Effective? Resistance training in swimming has been a complicated and controversial topic for years. 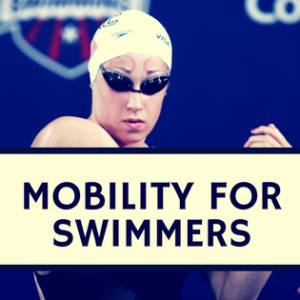 Some believed swimmers should not perform resistance training as swimmers want longer, lankier muscles. 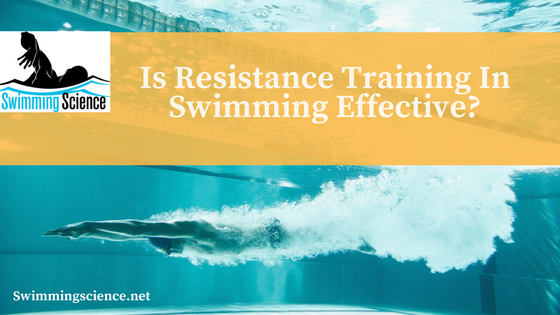 However, over the past few decades, resistance training has become more commonplace, with high anecdotal evidence to support its usefulness, especially in short course swimming. There are more forms of resistance training than weight training, for example, 1) strength or resistance training, 2) assisted sprint swimming, 3) arms-only training, 4) leg-kick training, 5) respiratory muscle training, 6) training the energy systems, and 7) combined interventions. Of all these topics, only seventeen articles on the topic were qualified for review. The purpose of this paper was to systematically review exercise training intervention studies designed to investigate the impact of exercise training on competitive swimming performance. The researcher’s looked on all the article databases for eligible articles. For eligibility, articles must be in English, German, Swedish, Danish or Norwegian and published before 1980. These studies must also look at competitive swimmers above 14 years of age. Seventeen articles were included and nine of them were randomized controlled studies. The studies looked at various swimming distances and ages, but the mean age was 19.2 years and 8.8 participants per study. Dry-land Strength Training: Five studies looked at dry-land strength training interventions. Overall, the studies indicate there may be a positive association between maximal dry-land strength training and swimming performance. However, due to a low number of studies, lack of information, variety between the interventions, subjective characteristics and effects, low numbers of study participants, combined intervention design and lack of randomized study designs, the effects are questionable. Swim-Like Resistance Training: No evidence of the effect of training on the biokinetic swim bench on swimming performance. In-water resistance training may provide positive effects on competitive swimming performance. No evidence of improved performance by increasing the relative volume of swimming training with hand paddles. Training the swimmer’s Legs: It seems increased relative amounts of leg training do not seem to improve whole-stroke swimming performance. However, not randomized controlled studies have looked at the correlation of leg strength and swimming performance. Respiratory Training: The studies are overall inconclusive as many different protocols have been used. Exercise Training and the Energy Delivery System: Only one randomized study was reviewed in this category, but this concept is adapted from other sports. Since this is barely studied, more research needs to be done to suggest this form of training. Impacts on Drag and Stroke Mechanics: Strength training may have positive effects of stroke characteristic, but so far the evidence is inconclusive. Overall the research on exercise training and swimming is sparse. This leads many gaps in research for this multi-factorial concept. Overall it is concluded dry-land or in-water strength training may have positive effects on freestyle swimming performance. 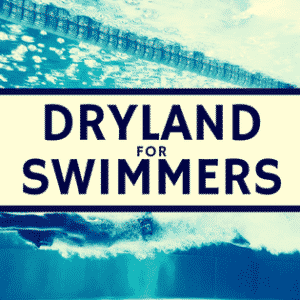 This review brought to light many gaps in swimming training in regards to dry-land. First, it identified the lack of evidence for the isokinetic swim bench. Second, it points at the potential effects of strength programs for swimming. So, the studies must be at least 38 years old to be included in this analysis? I would call the conclusions drawn to be utterly, completely, abysmally, and absolutely worthless, unless one believes that no gains in the study of exercise physiology have occurred since 1980.